As a part of the USAID Systems for Health initiative in Ghana, Kybele will be training Master Trainers in our innovative Triage Implementation Program. Read about this and more. 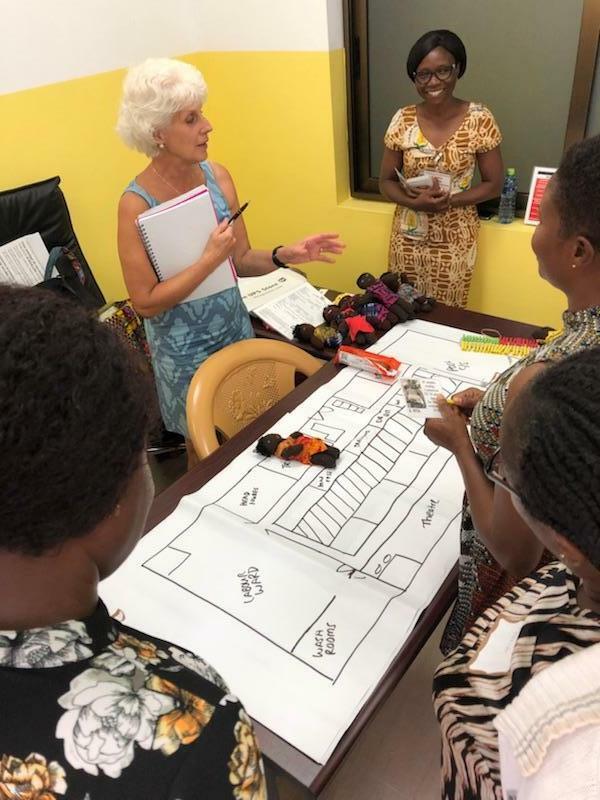 As a part of the USAID Systems for Health initiative in Ghana, Kybele will be training Master Trainers in our innovative Triage Implementation Program. 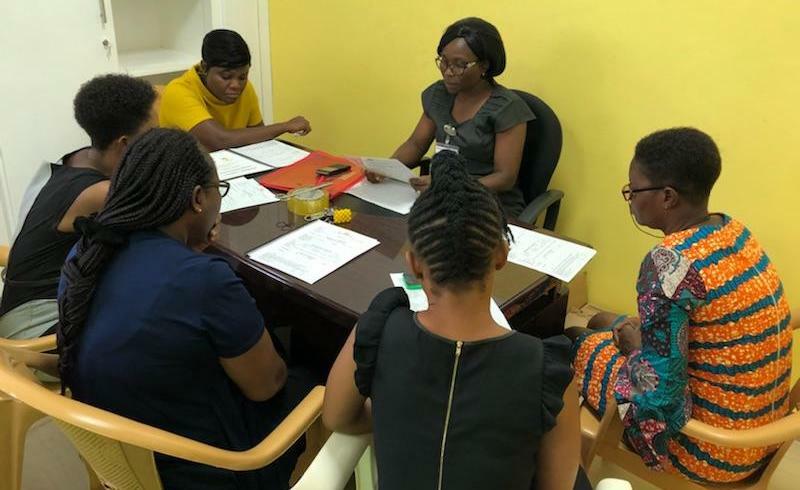 The Systems for Health Project (July 2014 to June 2019) is working with the Ghana Health Service to strengthen its efforts to reduce preventable child and maternal deaths. A critical piece of this effort is obstetric triage — equipping high-volume health facilities to prioritize obstetric emergencies in hospital units to reduce delays in receiving treatment. The Triage Implementation Program aims to help hospital administrators and clinical personnel understand the concept of obstetric triage and how it can be used to improve outcomes for the mother and baby. Other objectives include setting up an obstetric triage system in the hospital using color coded wristbands, decreasing wait times for women to be seen and treated upon arrival at the hospital, prioritizing care for the sickest women, and improving care planning and documentation. This month, our Kybele team—consisting of physician master trainers and an implementation science expert—is testing our innovative training package at the high-volume Tema General Hospital for appropriateness and usability. Staff will be mentored and coached so that they will have the capacity to provide technical support to other facilities as needed. Ultimately, Kybele will develop a toolkit and guidelines that Ghana Health Service will be able to use to implement the triage package in district and regional hospitals across the country. Dr. Fiona Bryce and Midwife Cecilia Tetteh introduce the Obstetric Triage Implementation Program at Tema General Hospital. September 2018. Midwife Cecilia Tetteh coaching new triage clinical champions at Tema General Hospital. September 2018. 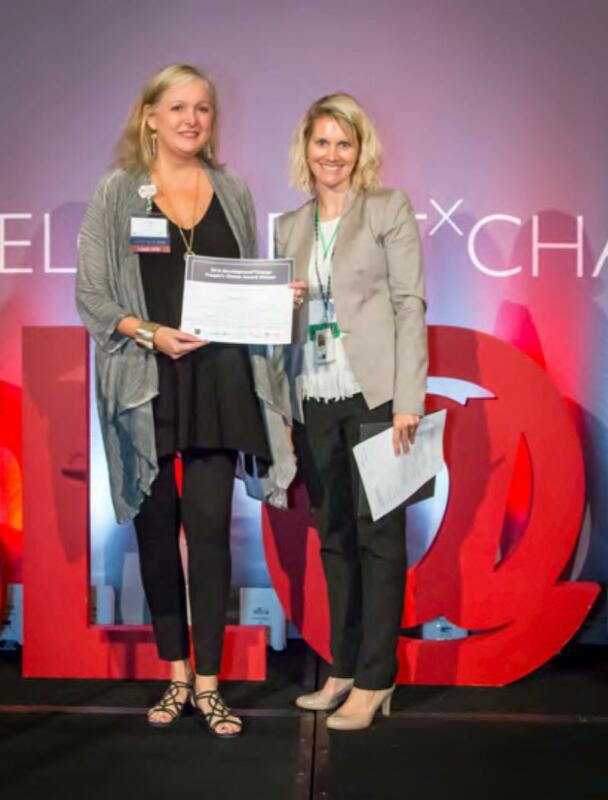 KYBELE WINS PRESTIGIOUS PEOPLE'S CHOICE AWARD FOR SAVING LIVES AT BIRTH AND ADVANCES TO FINAL ROUND! 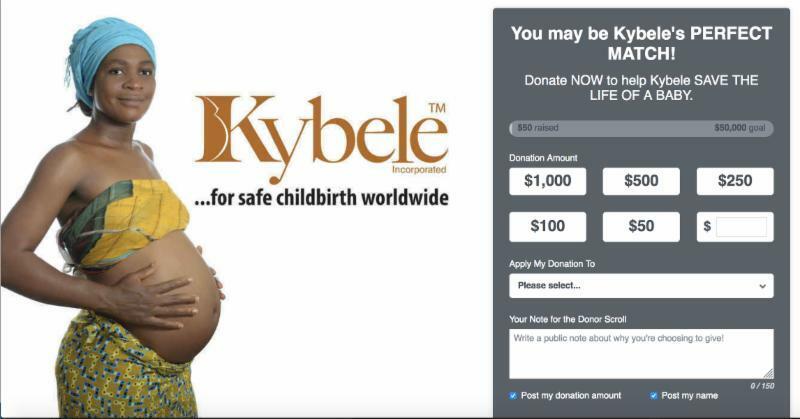 Kybele’s innovative work has been recognized by Saving Lives at Birth as a groundbreaking approach for improving outcomes for pregnant women and newborns in poor, vulnerable communities around the world. Saving Lives at Birth: A Grand Challenge for Development— launched by USAID, the Government of Norway, the Bill & Melinda Gates Foundation, Grand Challenges Canada, Department for International Development (DFID), and the Korea International Cooperation Agency (KOICA)—aims to find the best tools and approaches to help mothers and newborns during their most vulnerable hours and has become one of the most renowned initiatives in the global health community. Over the last seven years, Saving Lives at Birth has sourced and supported 115 distinct innovations and seen individuals and organizations gain global accolades for their achievements. Based on Kybele’s highly successful pilot triage work in Ghana, we proposed a scale-up of our innovation triage package for Saving Lives at Birth funding. This July, our proposal, “Addressing the Third Delay: Scaling Up an Obstetric Triage System to Reduce Delay and Improve the Quality of Care in High-Risk Referral Hospitals in Ghana,” was selected as a finalist and will now move forward for final deliberations and negotiations. With nearly 500 applicants for the award, Kybele is honored to advance to the final stage of this highly competitive review process. This distinction puts our project in the top 5 percent of applicants. As a part of the advancement of our proposal, Principle Investigators Dr. Medge Owen , Dr. Rohit Ramaswamy , and Dr. Emmanuel Srofenyoh participated in the Saving Lives at Birth DevelopmentXChange in Washington D.C. — an event that showcases the most innovative initiatives from around the world and brings together some of the most cutting-edge models in the sphere of maternal and newborn health. Event participants took part in capacity-building sessions, networking, and meetings with experts and potential collaborators. Drs. Owen and Srofenyoh successfully provided an oral defense of our proposal before a panel of experts, and Kybele was thereby nominated to move forward to award negotiations. Moreover, Kybele won the vast majority of the 1,700 votes for the People’s Choice Award — winning “by a landslide,” according to the award organizers. As a part of this award, Kybele will receive $5,000 in strategic communications support from Weber Shandwick, a global engagement and communication agency. The support will be customized around Kybele's needs, including strategic message guidance, targeted earned media outreach and social media support. Many thanks to all of our supporters who voted for this recognition of our worthy cause! Photo Top Left: Dr. Medge Owen accepts the Saving Lives at Birth People's Choice Award. 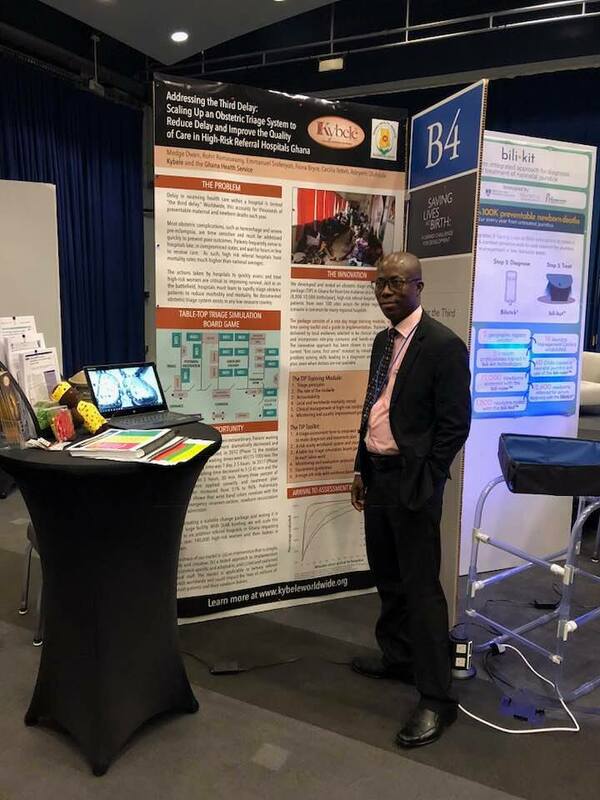 Photo Bottom Right: Dr. Emmanuel Srofenyoh in front of the Kybele Booth poster. Kybele has recently partnered with Network for Good to utilize their fundraising tools and create an easier way for individuals to make contributions to Kybele. Check out our end-of-year giving campaign and see why we are raising $50,000 to SAVE BABIES. IMD President, Walter Zohmann at the 2018 SOAP Conference in Miami, FL. 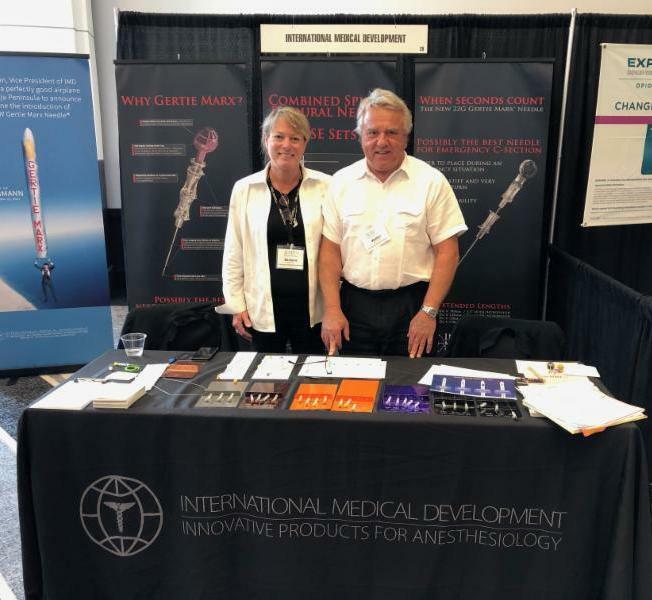 Kybele is grateful and pleased to announce the recent support from International Medical Development (IMD), Inc ., for its $1,000 donation at the 2018 Society for Obstetric Anesthesia and Perinatology (SOAP) conference in Miami. 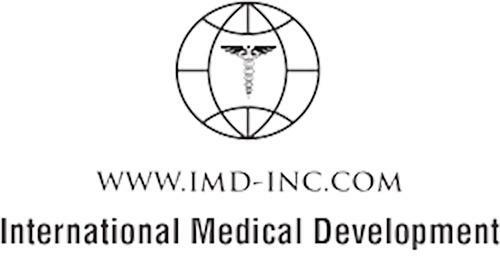 Based in Huntsville, Utah, IMD is a specialty needle company focused on spinal, epidural, and combined spinal epidural (CSE) techniques; amniocentesis; as well as lumbar punctures and myelograms. IMD President Walter Zohmann presented the donation to Kybele. Kybele would also like to acknowledge EpiMed for its generous donation of 200 epidural mini kits and a simulator to teach neuraxial techniques at our programs in Serbia and Bosnia. EpiMed is the manufacturer of effective and high-quality products to assist with pain management (acute and chronic pain), regional anesthesia, and original equipment manufacturing. EpiMed’s in-kind donation is valued at approximately $7,400 and was graciously presented by John Roschuk, director of regional anesthesia products. I am originally from Maryland and grew up traveling the United States playing softball competitively. I have wanted to become involved in medicine since the age of 3, when I called 911 to save my great-grandmother’s life following a traumatic fall and did what I could to comfort and assist her until help came. 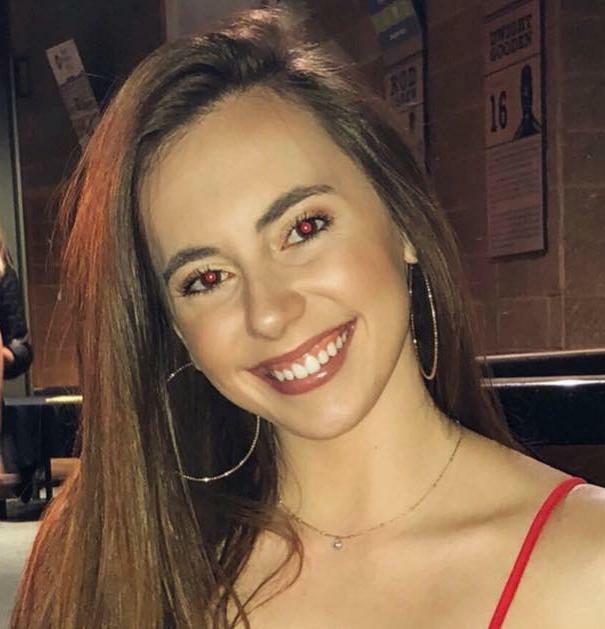 In high school, I entered a four-year biomedical program, which further cultivated my interest in medicine and drove me to pursue the pre-medical track at Wake Forest University for my undergraduate studies. While taking an anthropology class at Wake Forest, I found I have a deep passion for global health and viewed it as the perfect way to combine my interest in medicine with my enthusiasm for travel and love of helping others. Before graduating, I had the amazing fortune to cross paths with Dr. Medge Owen while shadowing at Novant Health Forsyth Medical Center, where she told me about the incredible work of Kybele and offered me the opportunity to join the team. This was a dream come true. It provided me with a chance to gain direct experience in the two fields I am most passionate about while working with an inspirational team of leaders on cutting-edge global health work that impacts the lives of mothers and children around the world. I began working with Kybele in an administrative capacity in December and plan to continue working as I take a gap year to apply to medical school. Since working with Kybele, I have had the opportunity to travel to Mexico for our 2018 Team Leader Summit, represent Kybele at a variety of events, and work with Novant Health to develop their global health agenda and assist with research in women’s health and wellness. Most importantly, I have met truly incredible people who have further fueled my passion for both medicine and global health, and I am excited to apply the lessons I have already learned through Kybele to my future medical career and see where my future work with Kybele takes me. We are glad to have you on board Elizabeth! Earlier this year, Kybele received a beautiful handmade quilt from longtime SOAP member Dr. Pamela Webb. 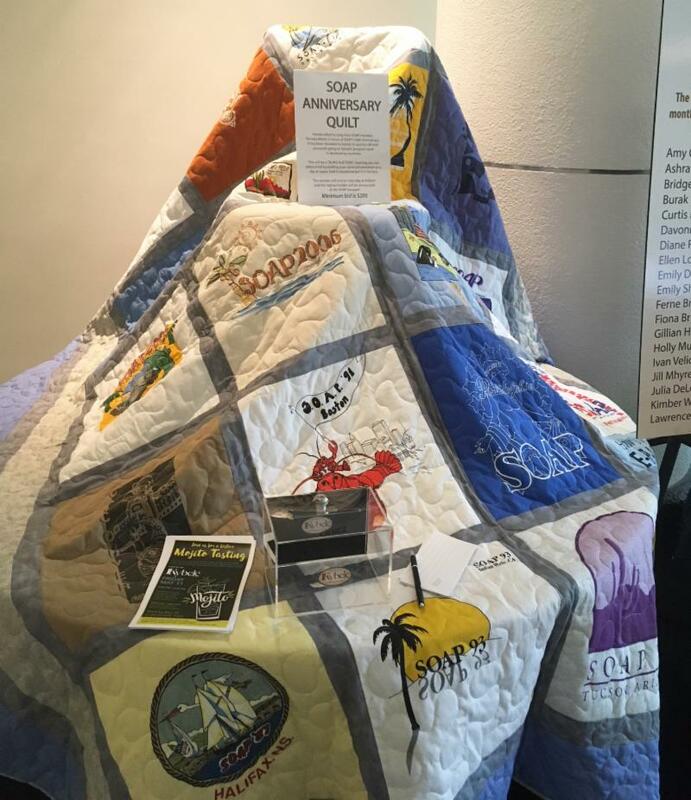 The quilt was made from numerous t-shirt designs of past SOAP conferences. Dr. Webb, along with Forever Sisters Quilting, constructed the quilt with the thought of helping Kybele to raise funds. A blind auction was held during the 2018 SOAP conference, and the winning bid of $2,500 went to Dr. Barbara Leighton. ﻿A HUGE thank-you to both Pamela and Barbara for your continued generous support of Kybele. Kallam, B., Pettitt-Schieber, C., Owen, M., Agyare Asante, R., Darko, E., Ramaswamy, R. (2018). Implementation science in low-resource settings: using the interactive systems framework to improve hand hygiene in a tertiary hospital in Ghana . International Journal for Quality in Health Care , 1-7. Goodman, D. M., Srofenyoh, E. K., Ramaswamy, R., Bryce, F., Floyd, L., Olufolabi, A., Tetteh, C., Owen, M. (2018). Addressing the third delay: implementing a novel obstetric triage system in Ghana . BMJ global health, 3 (2), e000623. Floyd, L., Bryce, F., Ramaswamy, R., Olufolabi, A., Srofenyoh, E., Goodman, D., Pearson, N., Morgan, K., Tetteh, C., Ahwireng, V., Owen, M. (2018). The introduction of a midwife-led obstetric triage system into a regional referral hospital in Ghana . Midwifery, 61 , 45-52. SEPTEMBER 13-17 – Kybele trip to Novi Sad, Serbia: Dr. Shahla Namak’s ALSO course with a team of instructors on September 15 and 16. ALSO, which stands for Advanced Life Support in Obstetrics, is an evidence-based multidisciplinary training program that prepares maternity health care providers to better manage obstetric emergencies. SEPTEMBER 30-OCTOBER 6 – Kybele site visit to Siberia. NOVEMBER 27 – Giving Tuesday – National day of “giving” – Year End Campaign.